How To Work Out How Much Your Car Sharing Price Will Come To? Car sharing is a commitment-free way to get around. It gives you the freedom to decide on the spot. Car sharing will also save you money especially if you choose to skip buying a car and combine car sharing with other ways to travel. You will save yourself a lot of money and trouble by opting for a GoTo car sharing. But how can you know how big your savings will be? 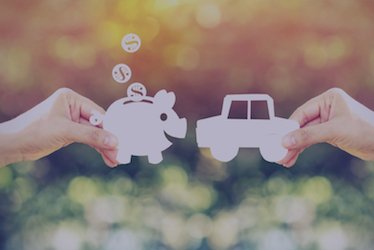 Here’s how to work out how much your car sharing price will come to. You will need to begin by estimating how much time you will need to use a car. How Will You Use Car Sharing? Think of how you will use the service. Perhaps you occasionally don’t hear your alarm clock, so you know that jumping on a bus is not an option. It's definitely not an option on hangover mornings. Perhaps you need a car for the fortnightly shopping spree to the supermarket or to go to your yoga class twice a week. Becoming a user of Standard Plan costs €7 per month. Having a Standard Plan, you pay a €0.28 per minute rate plus a €7 monthly fee. With this plan, you can register one additional driver on your account for free. You can opt for a Basic Plan and avoid paying a mebership fee. Our flat per minute rate is €0.28 for Standard Plan users. This is the rate you pay for your trip. The 15-mins reservation time before your trip is free. Extending your reservation will cost you €0.14 per minute. The Basic Plan comes with €0.35 per minute rate for driving and half of it for stop-over. Once you have used the service for some time and know that you use it for approximately 6-7 hours per month, you may want to get onto our Savings Package. This package costs €99. You get €99 credit and discounted rate. It saves you €20 because it includes the €7 per month membership fee and the per-minute rate is €0.25. Buying the Savings Package allows you to plan your expenses to the detail. It will also be much easier for you to calculate how much you’re saving because you will know that using a GoTo car sharing car will cost you €1,188 per year (while on this package). This is far cheaper than buying your own car and paying for insurance, fuel, maintenance, car washes and parking. Monthly Savings Package price: €99 (capped price per month, including membership and 400 minutes of driving time). Car sharing will offer you the best budget car rental prices in Malta, especially if you intend to use the car only for a few point-to-point trips every week or month. There is also no waiting time, so you can jump in and go much faster than hiring a car or calling a taxi.